Logistic reorganization, which enables to view the entire collection inventory attainable. Acquisition of a second high-performance numerical control machine that allows an accurate and detailed production. 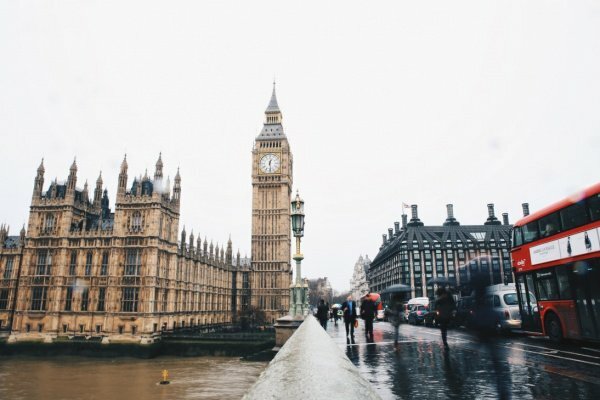 Beginning of a major trade development abroad, with Headquarters in London. This strategic decision brings growth to the company internationally. Important acquisitions of various new materials are made, enriching the collection currently available covering more than 500 different types of materials to choose from. The first numerical control machine is purchased. This new computerized equipment supports the production of shower trays, sinks, columns etc. A new production line is purchased. Polychrome inlays of various sizes and thicknesses can be developed. 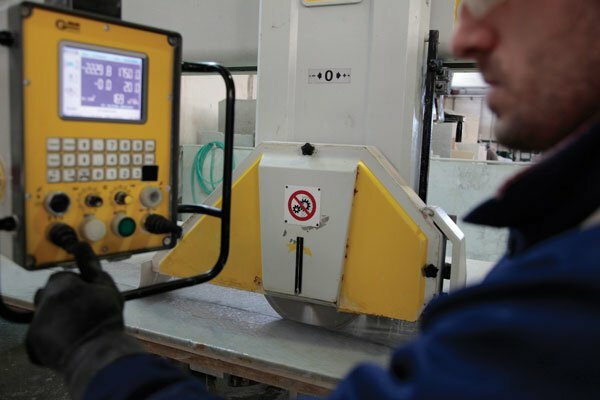 A state-of-the-art production line for cutting, calibrating and polishing slabs of various thicknesses, and in particular for thin cut requirements (1cm) is implemented. Thanks to the rapid commercial growth, a new 25 thousand square meters plant is opened, of which 2,500 sq. mt dedicated to production and 3,000 sq. mt as a storage area. 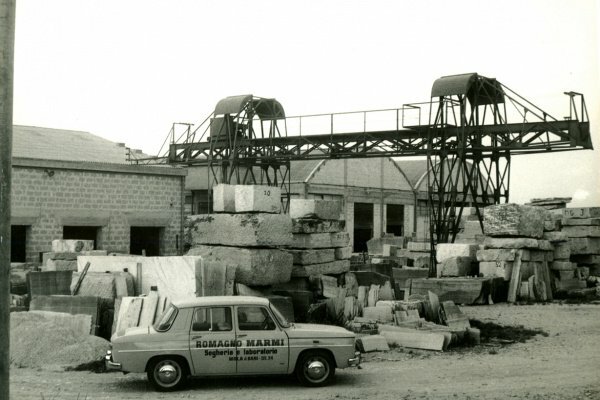 The company now bears a new commercial name “ROMAGNO MARMI S.r.l.” Production, which was previously based on resin-marble tiles, it is now extended to modular-marble, and inlay- modular systems. Production is mainly done for residential buildings, but at the same time major project work is developed , using gang saws, bridge cranes, multi disk saws machinery, which at that time were considered at the forefront. 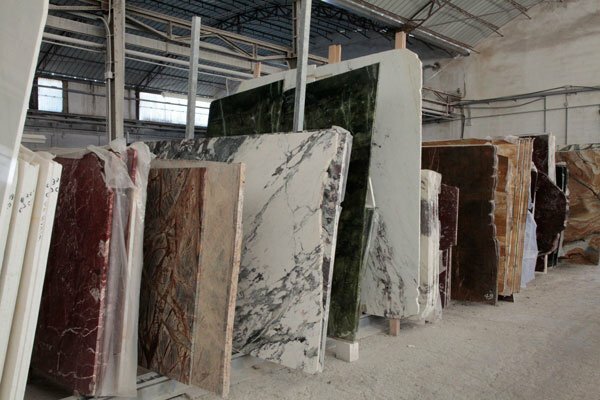 Vito Romagno in collaboration of two “MARBLE ARTISANS” sets up a craftsmen’s workshop, undertaking minor jobs, by just using a cutter and a polishing machine.